The Camtest is a backyard style skateboard contest, hosted by Cam himself. 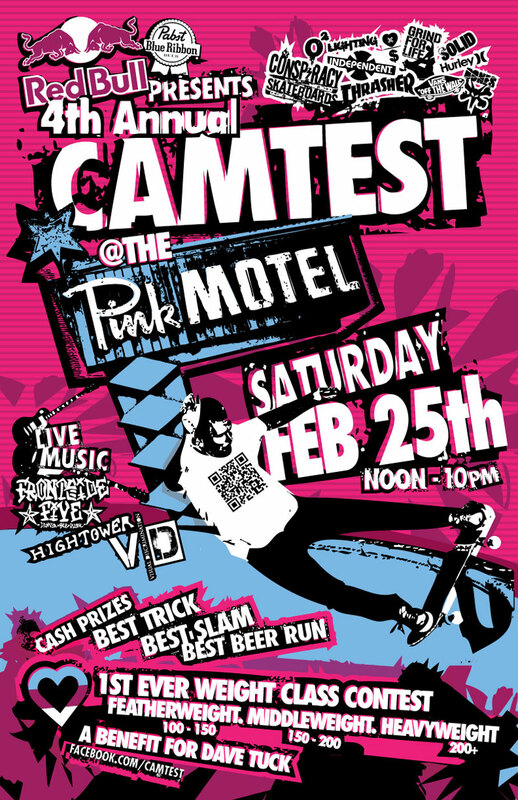 This year is the 4th annual, and will go down February 25th, at the Pink Motel. This years contest will be a benefit for our good friend and fellow skateboarder, Dave Tuck. The Event will be on Saturday February 25th 2012 from 12pm til 10pm.